America but doesn't offer much proof. This article first appeared on my old website, Lost Civilizations Uncovered, in 2003. This version is modified from the original to incorporate a 2004 update. In 2002, Britain suffered through another of its periodic spasms of eccentric historical theorizing. Every so often someone over there comes up with a new location for Atlantis or a new theory about who really wrote Shakespeare's plays, and all of that contributes mightily to the charms of America's more civilized cousin. This time it was a former Royal Navy officer named Gavin Menzies who announced to the world that the Chinese and not Columbus had actually discovered America, notwithstanding the fact that the American Indians had "discovered" the continents tens of thousands of years earlier. But we know what he meant. The crux of his thesis is presented in his book 1421: The Year China Discovered the World, which is making its North American debut after topping the British sales charts. Simply put, Menzies believes that in 1421 the Chinese sent out a fleet of boats sailing west. While mainstream scholars believe they turned back after reaching Kenya, Menzies says they kept going, eventually reaching America. There they engaged in peaceful trade with the Natives and founded Peruvian civilization as a Chinese outpost. They charted all the seven continents and even mapped the North Pole. Then, in 1423, they scrapped their junks and turned inward not to emerge from their slumber until the modern day. All of that was quite an accomplishment, for it would take Europeans hundreds of years to match what the Chinese did in but two. Menzies is not the first to claim that Asian people arrived in the Americas long before the Europeans, but he is one of the first to receive such widespread media attention. In January 2003, the New York Times Magazine presented a 2,600-word profile of the man and his ideas. Reporter Jack Hitt rightly noted that much of what Menzies says in his book is untrue: "Given the gossamer strength of Menzies' evidence, however, it is unlikely that history departments will soon be dressing him in ... garlands." Hitt exposes the lack of documentation and proof that characterizes Menzies' scholarship, elegantly refuting claims of Chinese towers in Rhode Island and Chinese maps of San Francisco Bay, but crediting him for providing a "seductive read." I read the Times article and I became intrigued by this strange idea, so I went to Menzies' website because, quite frankly, I was not about to pay good money for an idea that seemed to lack proof. At the site, I was astounded to see that the Times actually seems to have portrayed Menzies' scholarship in a more positive way than the evidence belies. The site makes garish claims about the import of what the reader is about to discover: "Gavin Menzies' discovery was many years in the making, yet given the time scale in which he has been able to expand and further fortify his hypotheses, the concept of Chinese maritime supremacy has been exposed and supported in a way which can only lead many to reconsider accepted history." Our recent research has revealed the finding of a 'Chinese' body in the ruins of a tomb in Teotihuacán, Mexico. The skeletal corpse, discovered by William Niven in 1911, was found on an altar-like structure, but was so old that the bones were to disintegrate on touch. The skull was of a Mongolian type and the body no taller than 5 ft., with long arms. It wore around its neck a necklace of pearls of green jade, a substance that was alien to Mexico at the time. Beside the corpse was a 7 inch high earthen statue, known as 'The Little Chinaman' for obvious reasons: the figure was clothed and decorated in a Chinese style, the visage had slit eyes, and had huge rings in his ears similar to those worn by the Chinese today. On his head he wore a skullcap with a tiny button in the centre, which almost exactly corresponds to the caps worn by the Mandarins of the Empire. The find appears to be another strong indicator of China's pre-Columbian contact with Mexico. Taking the evidence from the top down, we can see that Menzies here relies on a 1911 report and not upon the actual evidence itself. He confuses the old trifold skeletal classification system of Caucasoid, Mongoloid, and Negroid types with perceived racial groups (which have no genetic basis). He refers to the "Mongoloid" skull type as "Mongolian," inadvertently equating a morphological characteristic with a geographic location. That location is then conveniently used to link the skull back to Mongolia and therefore to its neighbor China. But this is a chimera, for the native peoples of the Americas are the genetic progeny of Asians who first populated the Americas sometime between 50,000 and 25,000 years ago. Their skulls are considered "Mongoloid" because they fit the morphological characteristics that evolved in East Asia, just as the peoples of India are considered Caucasoid because their skulls share similar measurements with Europeans. Skull shape, of course, has little to do with skin color or ethnic heritage and much to do with genetic relationships. It is no surprise then that American Indians share many of the same genes (and therefore skulls) as their East Asian cousins since in the grand scheme of human development, they did not diverge that long ago. Next Menzies makes several elementary errors about Mexican prehistory, which he distorts to attempt to fit this skeleton into his preconceived framework. He states that the skeleton's necklace is made of jade*, a "substance that was alien to Mexico at this time." He does not say what "time" this was, but we must presume that it was around the 1421 date he gives for the Chinese venture. We will address the problem of dating later. Nevertheless, even the most rudimentary research into Mexican prehistory finds endless reams of jade. The Olmecs made statues of jade, exquisitely carved, and used the material for jewelry, practices taken up by the Maya. All across ancient Mexico, jade was not just an important material, it was a sacred material of only the highest quality. The index of Michael Coe's textbook Mexico: From the Olmec to the Aztecs has twenty-four entries for jade. Most germane to our discussion is Coe's observation that at Teotihuacan, "sculpture is best represented in the austere stone masks, fashioned from greenstone, basalt, jade, andesite and other materials." Jade was also used for jewelry like that found on the corpse. He next concludes from the description of the earthen statue found beside the skeleton that it depicts a Chinese person because of the "slit eyes" and "huge rings in his ears." Both of these characteristics are not only not Chinese but are evident in the earliest art of ancient Mexico. Around 1500 BC, the Tlatilco figurines began to show the distinctive slit-eyes. Beginning around 1200 BC, the Olmec, the first high civilization of Mexico, consistently depicted the eyes of their sculptures as slits or with the characteristic eye fold now associated with people of Asian extraction. This is not surprising because native Americans are of Asian extraction, and the native people who continue to live in the Olmec heartland still have eyes of the same shape to this day. In fact, the Olmec made small jade figures with slit eyes to place at the site of offerings. With the decline of the Olmec after 400 BC, their traditions passed on to other Mexican peoples who built upon the Olmec legacy. The people of Teotihuacan created their own style of art in the centuries before the city's destruction in AD 650, but it was a style that used many Olmec stylistic conventions. The somewhat famous Teotihuacan stone mask shows a life-size human face with the same distinctive slit-like eyes that were both derivative of the Olmec style and representative of the people who used the masks. As for the earrings, they too are a Mexican innovation. Olmec masks show large holes in extended earlobes that represented the large ear-spools that the Olmec probably wore. The Teotihuacan stone mask also shows holes for earrings, and a statue of Chalchiuhtlicue, the water goddess, depicts her actually wearing the large ear spools, as do mural paintings. Perhaps the most famous ear-spool wearers were the Maya, whose class structure dictated larger spools for higher ranking individuals. In fact, throughout the Americas, the elaborately large ear-spools were used as a sign of high status. Of course, the obvious objection Menzies could make to all of the counter-evidence here provided is that I have not proved that the Chinese did not give all of these innovations to the Mexicans. But here we can rely on science to show us the Menzies' cultural theories are in error. The first slit-eyed statues date to 1500 BC. The Olmec flourished from 1200-400 BC, and Teotihuacan was destroyed around AD 650. Geology and radiocarbon dating tell us this, and even if they were off by centuries, it still puts us well before the proposed date of China's discovery of America, AD 1421. Quite simply, the Mexicans had been developing all of the so-called Chinese characteristics all by themselves for centuries before the alleged Chinese mission. In AD 1421, the Chinese, if they came, would have discovered the Aztec civilization in the Valley of Mexico, but they were already a fully-developed civilization drawing on thousands of years of cultural history. They had no need to adopt jade from the Chinese; it had been used in Mexico for 3,000 years or more. And to the Aztecs, Teotihuacan was the place of the gods, a holy ruin, and one not to be disturbed by the burials of foreigners. It was a place where the Aztec Emperor came to do homage. None of this, of course, positively rejects the notion that the skeleton may have been a Chinese missionary, but until each of the points presented above is fully explored and refuted, this skeleton cannot be considered "another strong indicator of China's pre-Columbian contact with Mexico." Nevertheless, Menzies is gleefully convinced that this body is the smoking gun proving Chinese contact with Mexico. He told the New York Times Magazine that he has sent his assistants looking for pieces of the body he believes are secreted away in Switzerland and Sweden to "get DNA on it." Funny, but didn't his website report that it turned to dust? Ah, well. As I have elsewhere noted, the famed Mesoamerican scholar Michael Coe has said that it is quite possible that at one time China and Mexico did have some fleeting contact. The use of a particular technique for the manufacture of bark paper, common to China, Southeast Asia, Indonesia and Mesoamerica seems to indicate this. Coe says that knowledge of this paper-making method "was diffused from eastern Indonesia to Mesoamerica at a very early date." 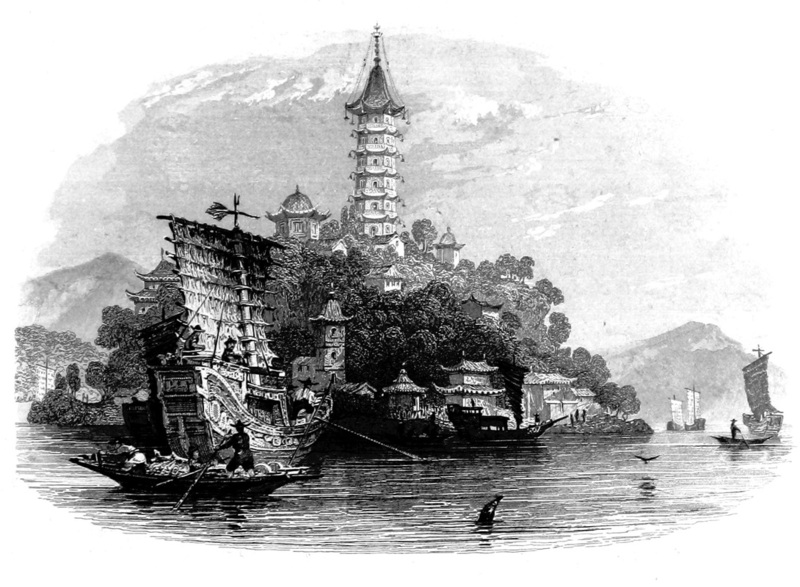 Some argue that Chinese records hint at a voyage to Mexico in the fifth century AD. Yet even if true, this would provide no evidence for Asian influence, since Olmec civilization sprang into being around 1500 BC. But in his zeal to prove a specific Chinese voyage in 1421, Menzies has destroyed any chance his theory had of trying to tie together the scant evidence of trans-Pacific voyages. Nevertheless, Menzies is bravely pushing ahead, offering his latest insights into the China-centric worldview to his loyal internet readers, for a small fee, of course. But if his evidence is all of the same quality as this "exciting" discovery in Mexico, I don't know why people would pay money for it. Remarkably, after publication of this article in 2003, I somehow ended up on mailing list for this strange belief, perhaps in the vain hope that a constant flood of "evidence" like that noted below would make up in quantity what it lacked in quality and make me change my mind. By the first part of 2004, Gavin Menzies claimed that the Chinese had visited not just America but the Roman Empire, Australia, and Antarctica (!). Once again his evidence consisted of "wrecked Chinese junks" that no one else seems to have seen, the presence of rice in Italy, recent Chinese reports, and of course the ever-important "official histories" written for the Chinese emperors. The official 1421 website now claims, "Re-evaluation of Ming accounts, several navigation charts, as well as the discovery of one of Zheng He's passage charts, has provided solid proof that his fleets sailed to the Antarctic and Australia, years before Cook and his cohorts." The claims, by Prof. Zhiquiang Zhang, and repeated on Menzies' site as evidence, "decoded" Zheng's map to "find" Australia and Oceania. Menzies additionally uses the Chinese records to link China to European countries based ambiguous accounts of places that might be European or at least travelers' tales of what Europe might be. Naturally, he believes it means a Chinese expedition to the continent. Menzies places an uncritical faith in the Chinese records, blissfully unaware that the Chinese imperial sense of history demanded that the records be altered to present China in harmony with imperial ideology. For that purpose, the "official histories" record Britain's King George III paying tribute to the Manchu emperor, something he never did. Similarly each successive dynasty recast those before it in their own terms. Consequently, any history recorded in the imperial papers must be taken in context with the ideological inclinations of the Celestial Court. According to many Sinologists, such rewriting of history continues in China today, especially in the realm of prehistory, where China teaches that humanity evolved in China along with the world's oldest civilizations. Therefore, "discoveries" by Chinese archaeologists, which are not ordinarily subject to international scrutiny, are likely suspect. To rely upon such teachings without verification is roughly akin to watching a movie to learn history. In the final analysis, Menzies' claims are far-reaching and far outstrip reality. Even if everything claimed for Admiral Zheng He's fleet were true, from his alleged distribution of "Dene-Caucasian" languages to his distribution of his own DNA worldwide (not bad for a two-year trip! ), it would seem that Zheng left little lasting impression on the people he met. That they remember nothing of him and saw no lasting effects to their way of life hardly befits the image of greatness the Celestial Court wished to project. It seems the admiral's voyage was but a paper tiger. * Note: The substance known as "jade" is actually two different rocks, jadeite and nephrite. The ancient Chinese used nephrite and did not work with jadeite until 1800. Mesoamericans used jadeite. So, technically it is possible that Menzies referred to "nephrite" here, but there is no indication he is aware of the difference or that the artifact in question is actually nephrite. The substance is most likely jadeite since it is described as "green" while nephrite has a white, creamy hue.